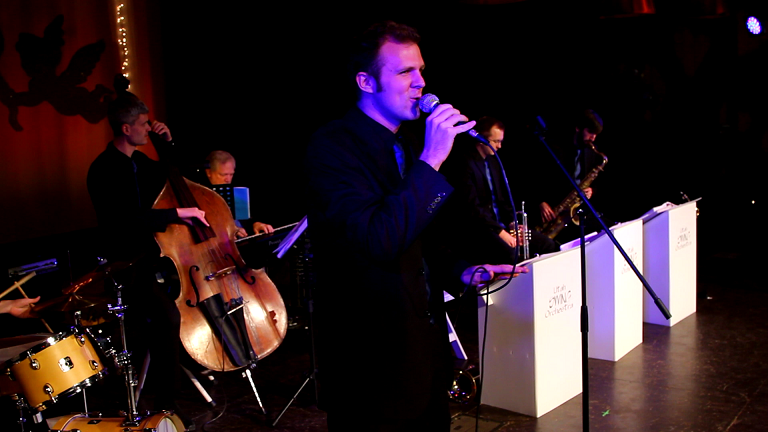 Are you looking for a fun swing band but want to keep it classy. The Moonlight Swing Orchestra is just that, patterned after the big bands in the 30's and 40's. Perhaps the best part of this band is they play all the old big band classics exactly like the recordings having an exclusive copy of all their tune arraignments. Most swing band who attempt this play cheap, poorly written versions of old tunes. The Moonlight Swing Orchestra focuses on quality. It is made of some of the best, seasoned jazz musicians you will ever hear. This band books out as a 6 piece, 10 piece or as a full on 18 piece big band. The most common version, the 6 piece is economical, compact and brings out the sound of a big band with a small group of people. Great for weddings!